When out in the outback in November, I looked down at my phone and realized that I didn’t have reception across some fairly substantial chunks of land. If something happened to us, we’d be fucked. But for those who live out in the middle of nowhere, there are satellite phones to cure that problem. But what about health care? In a medical emergency, what good is a satellite phone when the nearest hospital is still hundreds or even thousands of kilometres away? As I’ve mentioned before, Australia is vast country yet sparsely populated for its size. 63% of the population lives in the five big cities – Sydney, Melbourne, Brisbane, Perth, and Adelaide. Add in the next five largest cities – Gold Coast, Newcastle, Canberra, Wollongong, and Sunshine Coast – and that figure shoots up to 73%. For comparison, only 17% of Americans live in the five largest cities in the US – New York, Los Angeles, Chicago, Dallas/Fort Worth, and Houston – and that increases only to 26% if you include the next five largest cities – Philadelphia, Washington, Miami/Fort Lauderdale, Atlanta, and Boston. Australia is heavily concentrated in big cities. 85% of Australia’s population lives within 50 kilometres of the coast, and that figure increases to 90% if you increase the distance to 120 kilometres. Basically, the point I’m trying to make here is that there is nothing in the middle of Australia. Most people live in the big cities on the coast and the middle is pretty empty. Drive a short while away from the coast and, well, you’ve lost mobile phone reception and all contact with other humans until you arrive somewhere near the other coast on the other side of the country. Yet, people still live in the middle – not too many for sure – but some. While they may be few and far between, small towns dot the main routes across the middle. They may be mining settlements, stopovers for long haul drivers, or remnants from more successful years long ago, but they are there. They may be just one or two families, but they are there nonetheless. There are also plenty of indigenous communities far away from the population centres, and farmers raising cattle and other livestock at remote stations well off the paved roads. Can you imagine? The operation that the amateurs performed (with a pen knife… on a post office counter…) actually was successful, but Darcy died a day before the doctor arrived from a completely different complication. What rotten luck. 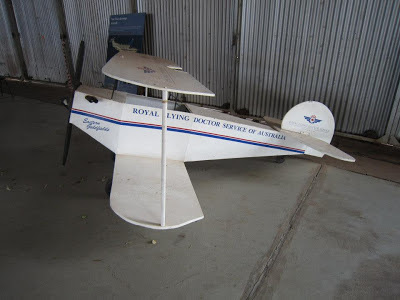 So, Flynn stepped it up a few years later and decided to use new technology – radios and airplanes – to create the world’s first aeromedical service: the Royal Flying Doctor Service. 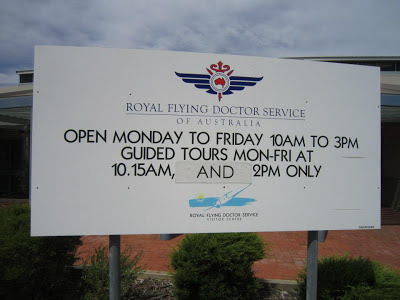 I had heard of the RFDS when visiting Alice Springs in 2011, but didn’t know too much about it so didn’t bother checking out their visitor centre. After some additional research upon my return, I decided that I had missed out and it was definitely something I wanted to learn more about the next time I was in a large outback town. Kalgoorlie gave me that opportunity. The RFDS is the largest and most comprehensive aeromedical organization in the world. It operates as a not-for-profit and gets funding from the government. 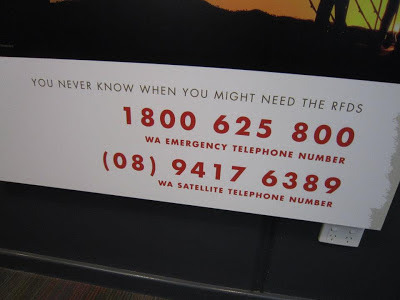 The RFDS is vital for those living in or traveling to remote areas of Australia. The RFDS has 21 bases and 39 clinics across the country. 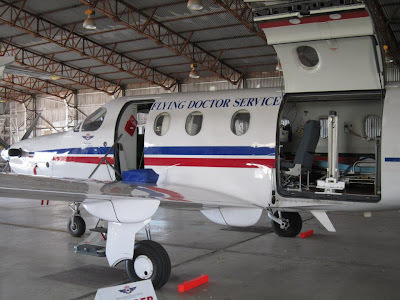 With 1,150 employees and 61 small aircraft, the organization transfers an average of 112 patients per day from the remote outback to large towns and cities where they can receive proper medical care when they need it. 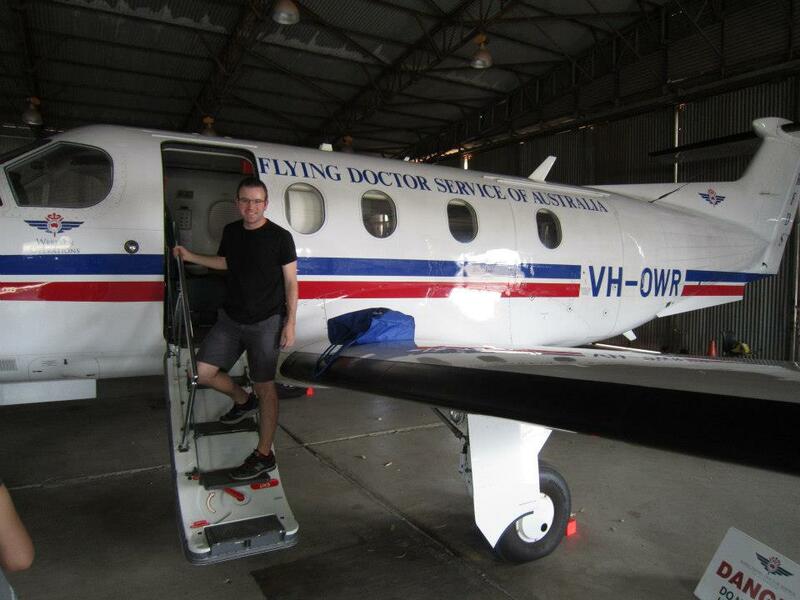 RFDS planes fly an average of nearly 73,000 kilometres per day, or roughly 22 trips across the continent from Sydney to Perth. RFDS doctors and nurses also provide health education to those living in remote areas, and staff various call centres 24/7 for those medical questions or emergencies that don’t need patient transport to a hospital. For easy treatments, the RFDS began distributing standardized medical kits to remote areas in 1942. Call up the RFDS and describe your symptoms, and the doctor on the other end of the line will tell you to take a pill from the compartment labelled “4” (or whatever other compartment contains the cure to your ailment). 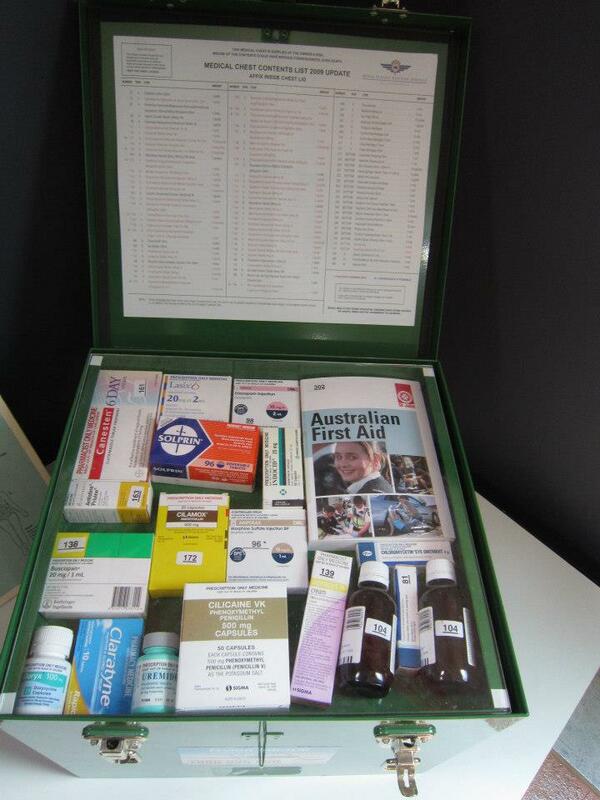 There are more than 2,000 medical kits across isolated Australia. All up, the RFDS interacts with 750 patients per day and responsible for over 273,000 patients per year. Not bad. The RFDS gets funding from the government, enough to cover their main operating costs and their aircraft. 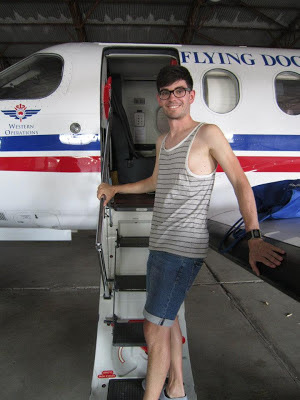 Other new equipment, including aircraft fit-outs, is out of pocket for the RFDS and they rely on contributions from the community, sponsorships from large companies, and donations from visitors to their visitor centres. This is where we came in. At their visitor centre, we got to see the old radios they used back in the early years of the RFDS. 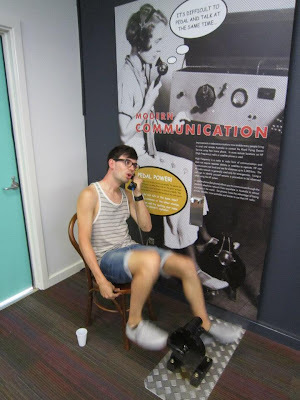 You had to pedal while you talked to operate the phone. It wasn’t easy. 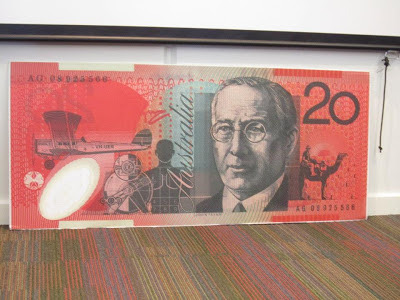 We also learned some more interesting tidbits, like the presence of Revered John Flynn on the $20 note, alongside an original RFDS airplane, the radio pedals, and other medical instruments. Most importantly, we got to see a Royal Flying Doctor Service airplane and even have a look inside! 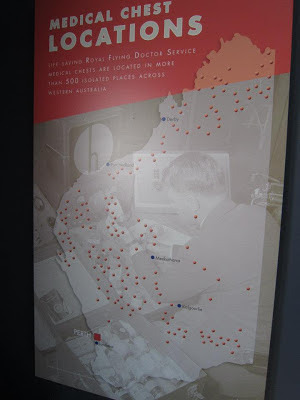 So, when out in the outback and you stumble upon a Royal Flying Doctor Service visitor centre, go in and learn something more than I just taught you. And write their phone number down because you never know when you might need them. And give generously too. They do good work.